In today’s episode of CCtv, I’m sharing 3 tips to ‘have your cake and eat it, too’ so you can indulge guilt-free. 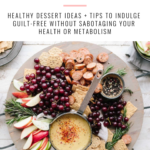 The desserts and tips will help you enjoy sweet treats without sabotaging your health or fitness goals. Woo! 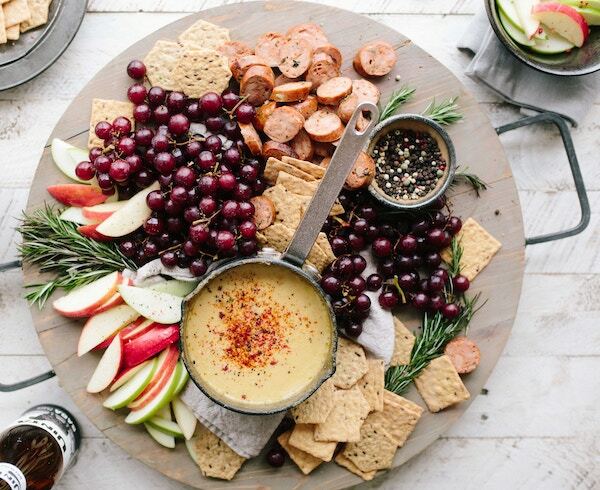 The healthy desserts & indulgences are perfect for special occasions (hello Valentine’s Day), girl’s nights, date nights, potlucks, hostess gifts, or if you’re a hostess. They’re quick, easy, affordable, taste great, are great for you, and will make you look like a domestic goddess. How’s that for results? If you like sweets, but want lose weight and feel great, these healthy desserts and treat ideas will help. I think you’ll love them as much as I do. See me explain more about how these healthy desserts and indulgences benefit you, in the video below. Chocolate covered strawberries (or bananas) are so easy to make. See the video for more info. There are tons of video tutorials online, too. Strawberries are low glycemic, have vitamins and fiber. Clean chocolate has antioxidants and no processed sugars or dairy. ♥ TIP: Bananas are another great option, too! Make sure you use new bananas (not older bananas with brown spots). Older bananas don’t dip as easily as new bananas do. Pop the bananas in the freezer so they get solid (but not frozen) helps them dip better, too. ♥ TIP: Prep your tray and fruit first. Wash, cap, and dry them/get your wax paper lined baking sheet ready as you’re melting the chocolate on low, heat. Dip the fruit when the chocolate is smooth and silky, not lumpy and paste-like. ♥ TIP: Make sure you use organic strawberries and chocolate to make this dessert truly healthy. Thrive Market has tons of healthy chocolate options FYI. If you like amazon, check out this chocolate brand. (pictured below) This is vegan chocolate that’s complete free of refined sugars, and it doesn’t taste bitter like most other ‘healthy’ chocolate (cacao) options do. FYI Thrive Market is having a huge sale right now on chocolate and wine, too! So check Thrive Market out and see how you can save big on your grocery bill. ♥ TIP: You can also melt chocolate in a ramekin and dip strawberries in like fondue! I’ve done that before. It’s easier for single-serve dessert at home. A bowl of berries with Chambord liqueur is a nice treat when you’re at a restaurant. You can always skip the liqueur and just get fruit, too. I recommend berries because they’re low on the glycemic index and won’t cause cravings compared to other fruits. Berries are a nice treat when everyone else is having dessert so you can have something sweet that’s actually healthy for you. This is a bowl of berries I make for dessert all the time! 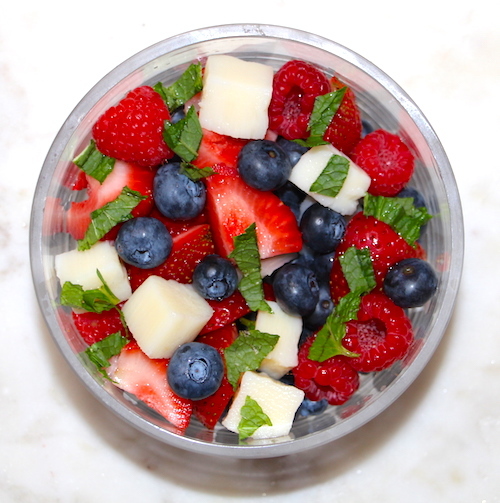 I used raspberries, strawberries, blueberries, mint, and hearts of palm with some fresh lemon juice. I like the hearts of palm because it adds a pop of salt and pairs well with the sweetness of the berries. I share why red wine is healthy compared to other alcoholic options in the video so make sure you watch it for more info… But I’m sure you’ve heard of studies that red wine is good for you, right? BUT what the doctor’s aren’t saying is that commercially produced wines are often times loaded unhealthy chemical additives! If you get hangovers easily when you drink wine chances are, you’re having a reaction to the chemicals NOT the alcohol. 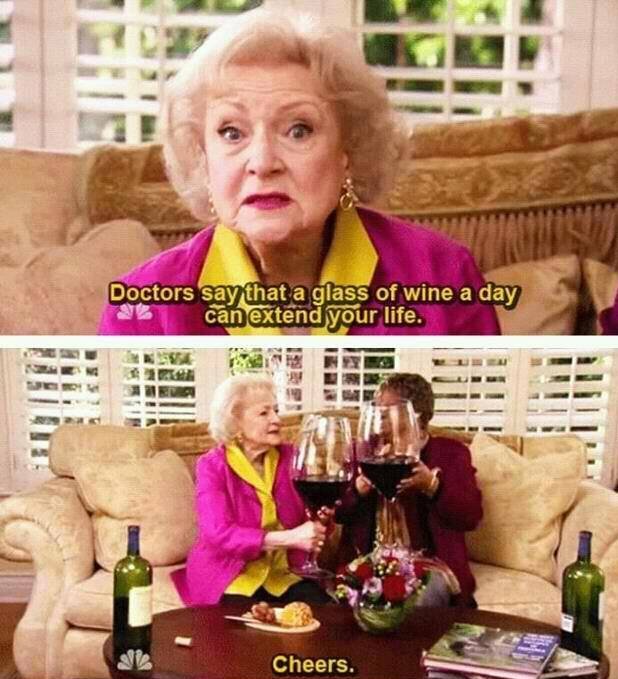 Also, it’s not the alcohol that’s healthy… it’s trace nutrients in the wine FYI. ♥ TIP: Get a non-alcoholic bottle of red wine or skip the alcohol completely and try sparkling water with fresh fruit instead. There isn’t a lot of regulation with regards to disclosing what has to be listed on the ingredient’s list so a lot of hidden chemicals linger in wine… and all alcohol in general. 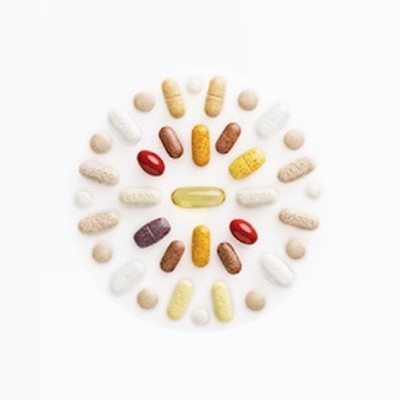 There’s also a lot of hidden chemicals in condiments, salad dressings, and other pantry items. Organic options of wine and pantry staples can be expensive and hard to find. That’s why I recommend Thrive Market. It’s affordable, convenient, and they have a huge assortment of healthy wine and other pantry staples, too. I like to do date nights in with a bottle and a healthy fruit and cheese tray. I’ll get fresh produce like apple slices, pear slices, grapes, hummus, stuffed grape leaves, cocktail shrimp, marinated mushrooms, or whatever else I’m feeling at the moment from my grocery store or farmer’s market. I love being able to eat delicious desserts and treats without feeling like a busted can of biscuits the next day. These dessert ideas (and wine) don’t make you feel grody like traditional desserts do! I hope this post inspired you with healthy ways to enjoy treats guilt-free! Which tip was your favorite? Let me know in the comments. PS. Don’t forget to sign up as a CC VIP so you don’t miss next week’s video! It’s going to help you so much! As a VIP you’ll get a free Healthy Dessert Recipe Book with more quick and easy desserts that taste great and are great for you.